When I add to the new website for the ‘exciting opportunity’, I will mention it in this blog so no need to ‘follow’ the new site unless you really want to! Surprise email this morning. 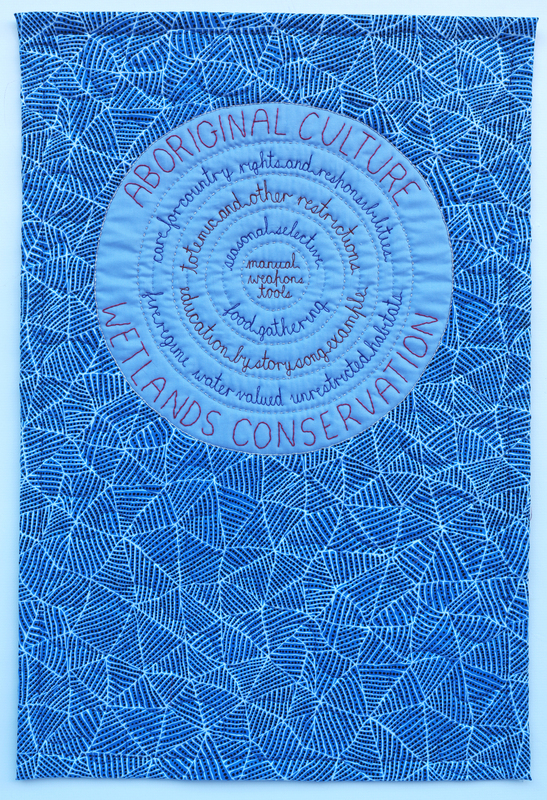 My quilt ‘Colour, Shape and Movement’ has been selected to travel the US for two years. I was notified a few weeks ago it had been juried into the Colour Challenge at the International National Quilt Festival Chicago. 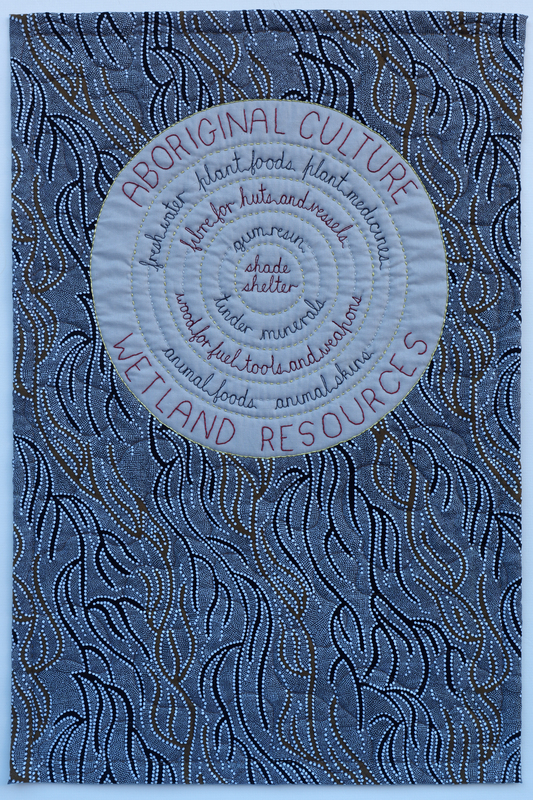 This morning’s email tells me it has been selected for the travelling exhibit to the International Quilt Festival Houston 2019 and beyond! I designed it using random numbers to decide where the light and dark colours would go, and which way the blocks would point!! Spare blocks were used for the back and the quilting was simple and sparse! What you receive if you make a quilt for the couch in the reading corner of a preprimary classroom! A pic in situ, and a ‘quilt’ card! How nice is that! 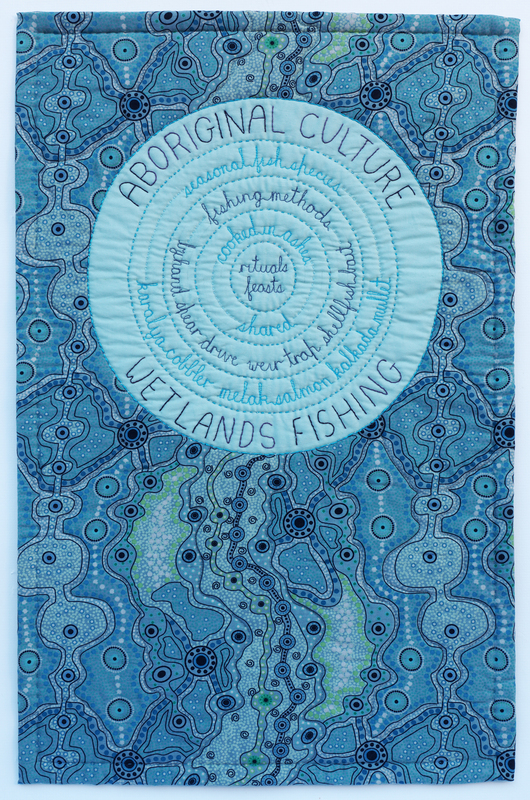 Just posted my Australian Quilt Challenge entry (theme is ‘Magic’) to be considered in the second round of the jury–survived the first round. 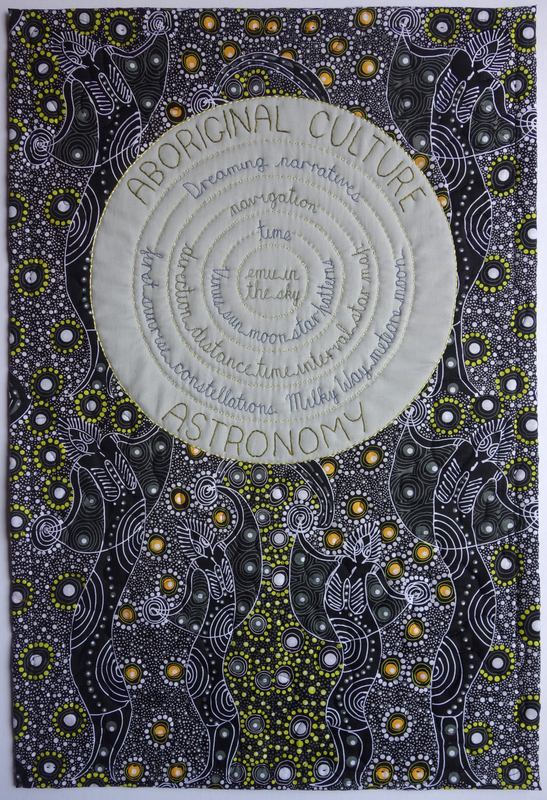 The title of the quilt is Night Sky Magic, Across Cultures. The main feature is a spiral galaxy, a fractal of course. On a more practical note, my daughter asked for a quilt for the reading-corner couch in her pre-primary classroom so I did a quick make with animal etc fabrics in green windows. Had a good email this morning – have had a quilt accepted for the International Quilt Festival 2019 in Chicago, in the colour challenge. Made it as part of a challenge a group of us have set, to each make four Drunkards Path quilts. 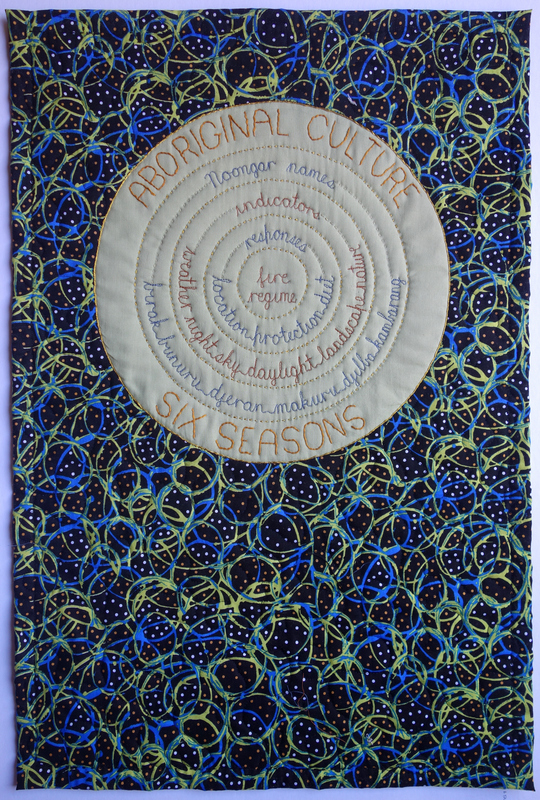 These quilts are turning out to be amazing in their diversity – we are working towards exhibition and sale. MY UFOs have also received attention. Finished a purple scrappy which my daughter has claimed, and am working on a huge one 2.5m x 2.5m – this size is too big to manage! It used to have a white background but friend Liz Humphreys kindly dyed the pieced top so the background is now a beautiful almost irridescent shade of turquoise. I have machine quilted it but still have to hand quilt the darker turquoise strips–this will be a long job so I am using the quilt on our bed already, and taking it off from time to time to do the hand quilting! Friend Meg Cowey mentioned to me about clicking on thumbnails to access a larger image. Click once to see a large image, then click on that to see an even larger one. This offers great possibilities for placing landscape quilts on a map of the area to which they relate. I jumped out of bed this morning to check the emails because one was due from Quilt National. Couldn’t believe the ‘Congratulations‘ subject line. A quilt that I have called Fish Feeding Frenzy has been accepted. Can’t show it till the exhibition starts but can say it is a Drunkards Path FRACTAL! Jim is muttering something about going to Ohio for the opening. 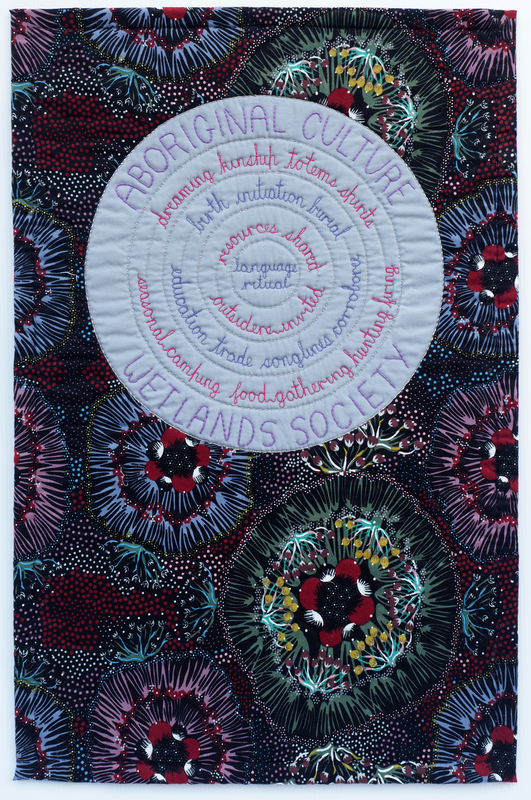 I have had a few emails wanting me to send a pic of the quilt that won the sash. 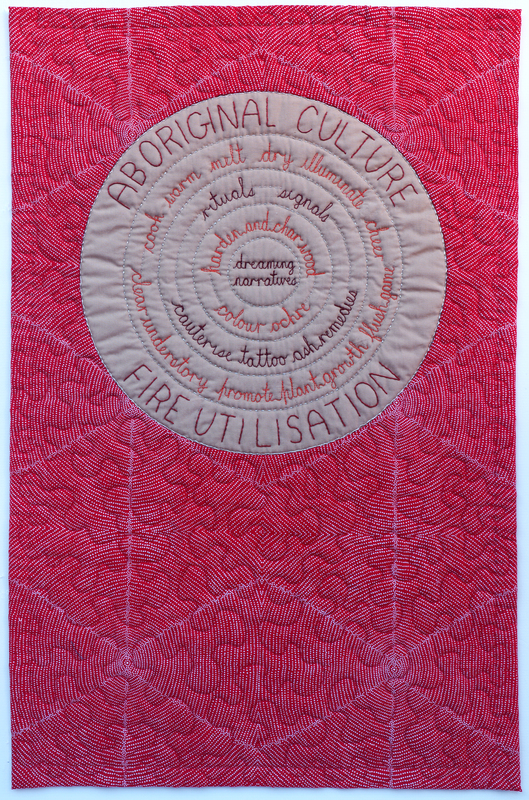 Had hoped to put it in QuiltWest and therefore not have the pic plastered around, but have now decided I had better get my act together and make something else for QuiltWest. Twelve Shades of ? 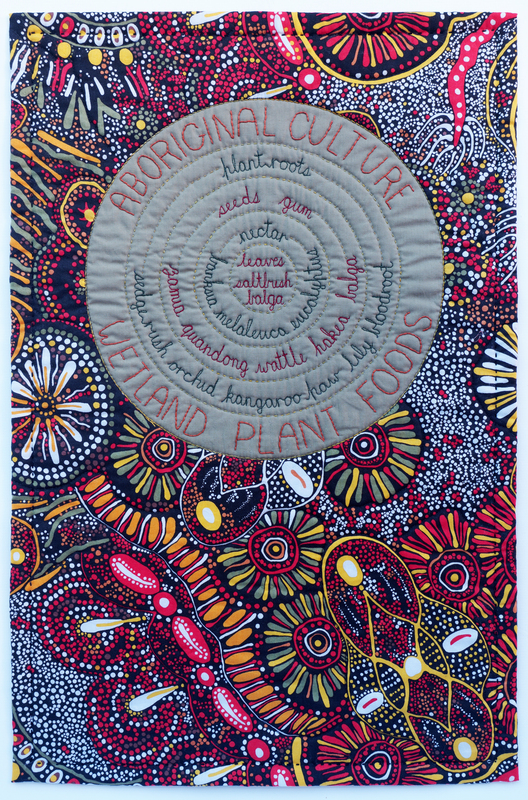 Best Exhibit in Patchwork Quilting, and 1st for Patchwork Quilting-Predominantly Applique.